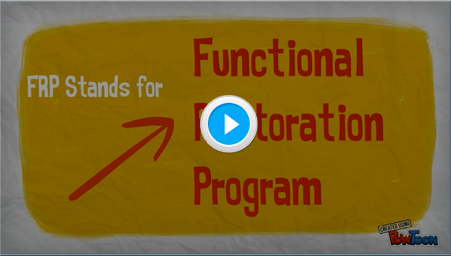 What is a FUNCTIONAL RESTORATION PROGRAM ? Functional Restoration Program (FRP) is a powerful multi-disciplinary treatment consistent with the Chronic Pain Medical Treatment Guidelines. The goal of a Functional Restoration Program is to improve the quality of life of Chronic Pain patients by treating the whole person to help them regain their ability to function within their lives, relationships, and work. Pain Management Specialists, Psychotherapists, Physical Therapists and Patient Care Coordinators are available throughout the program providing individualized attention to achieve the best outcomes. NCFRP was awarded the highest level of accreditation. An organization receiving this level of accreditation has put itself through a rigorous peer review process and has demonstrated its commitment to offering programs and services that are measurable, accountable, and of the highest quality. 13 years of experience in providing exceptional care to chronic pain patients through Functional Restoration. Read more about our Outcomes Studies. Our experienced chronic pain professionals utilizes evidence-based medicine merged with integrative therapies such as yoga, meditation, movement therapy, nutrition and more to provide a vast array of tools for recovery. Our expansive and dedicated authorizations support teams will handle the entire authorizations process so our providers can focus on what they do best: Provide excellent quality care to our patients. Aside from our unique all-Spanish Program, a variety of other languages can be accommodated. Speak with one of our friendly Patient Care Coordinators today to learn more about language accommodations!